August Pullman has been homeschooled all his life, safe from the stares and questions of others. See, he was born with a craniofacial anomaly-his face doesn’t look like most other faces. He and his family are used to it, but most other people aren’t. Auggie knows they don’t mean to be rude, or hurt his feelings, but it happens anyway. He’s afraid it might get a lot worse, too: August Pullman is about to start middle school. MIDDLE SCHOOL! It’s notorious for being horrible for even the most normal of kids. Nevertheless, Auggie bravely goes out into the world-and what he finds will surprise him. 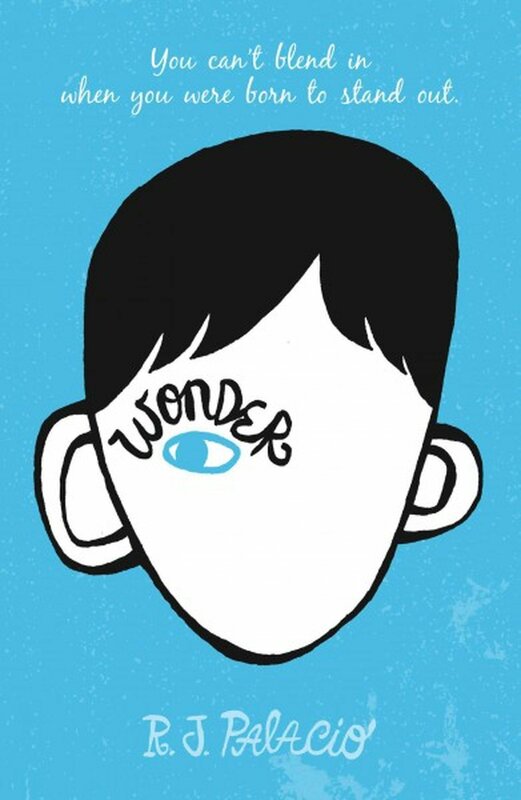 The book is told from many different perspectives: Auggie’s, his sister, his friends, even his bully, and it reminds us that there is always more than one side to a story. This book humanizes everyone, even those who bully. It’s the most realistic, most compassionate work on the subject that I’ve ever encountered. Friends, this book will make you cry. It will make you think about how we relate to others who are different from us (and, after all, isn’t everyone?). It will fill your heart with joy. It’s a great one for parents to read with kids-as a read-aloud, it could work for ones as young as fourth grade, all the way up to grown-ups. It’s a sensitive portrayal of differences, bullying, and the underworld of middle school. Reading this book will make you a better human, I promise. Read it with someone dear to you, friends. If you liked this one, you’ll love Beholding Bee by Kimberly Newton Fusco, and you’ll definitely need to check out Fat Kid Rules the World by K.L. Going.